MacBook Pro (2018)の第3世代バタフライ構造キーボードで問題が発生しているユーザーはAppleの予想よりだいぶ多い？ | AAPL Ch. 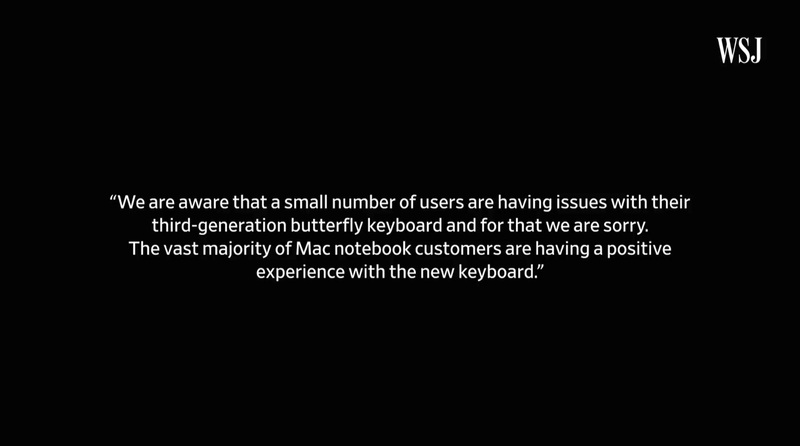 “We are aware that a small number of users are having issues with their third-generation butterfly keyboard and for that we are sorry,” an Apple spokesman said in a statement. “The vast majority of Mac notebook customers are having a positive experience with the new keyboard.” If you have a problem, contact Apple customer service, he added. 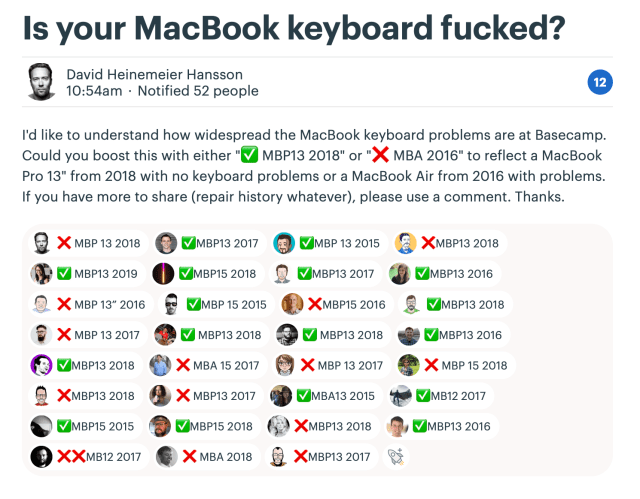 Let's get some more anecdata: If you own a 2018+ MacBook, have you ever had a problem with the keyboard?